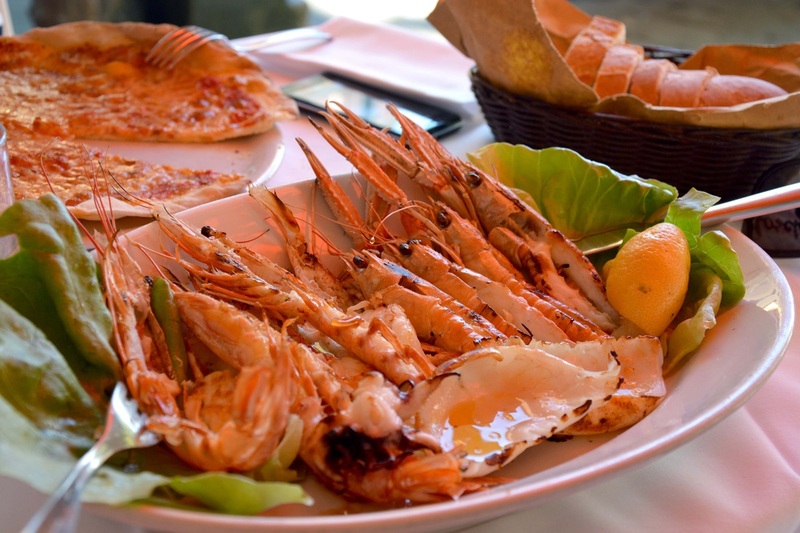 SICILIAN WONDERS - Learn to COOK & MEET new international friends! 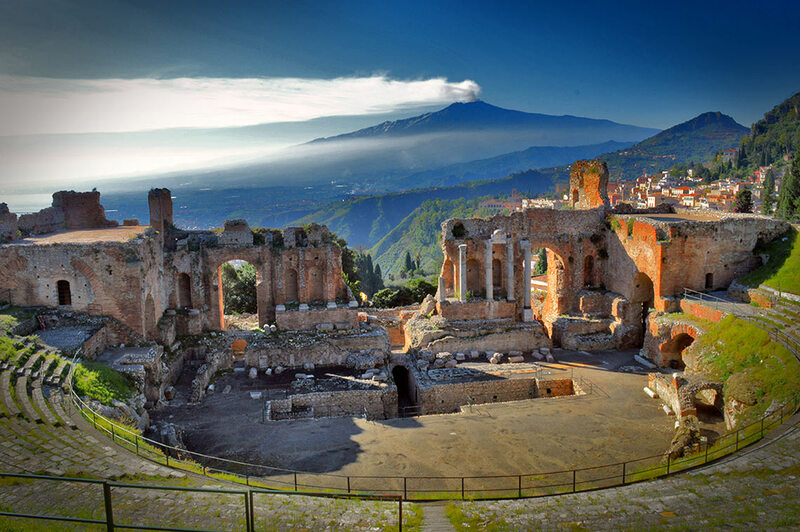 "Sicilian wonders": a unique guided tour by Cook & Meet to enjoy the island's delicacies, scenic wineries, a hike on Etna Volcano and discover its unique Unesco-heritage historic and artistic gems from Siracusa to Taormina. • Day 1: arrival at Catania airport. There is a choice of flights, mostly through Rome. 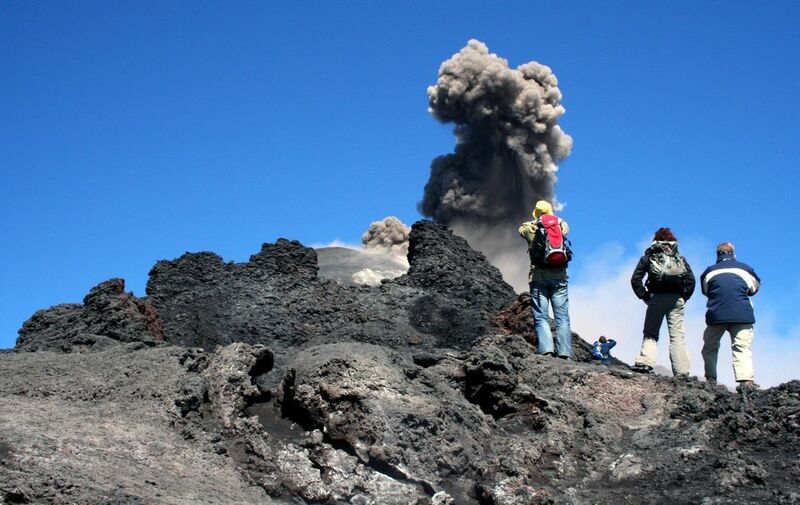 Pick-up by private minibus and accommodation in a cozy, family-run B&B on the slopes of mighty Etna volcano. 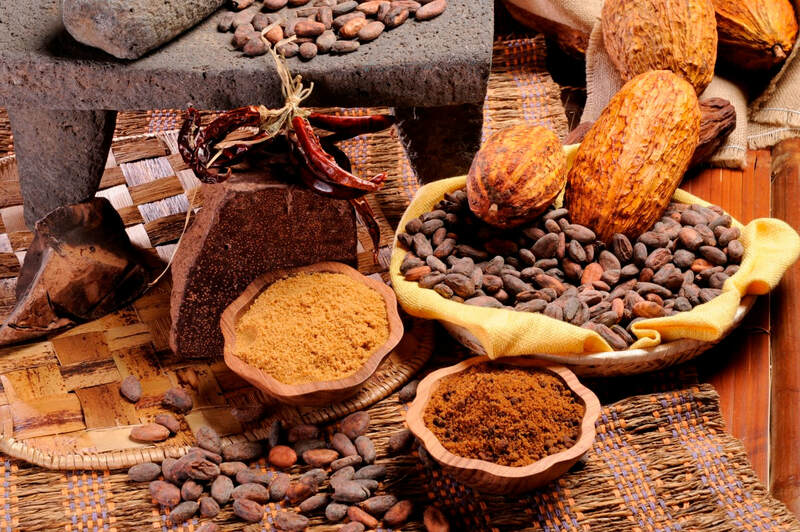 According to the arrival time, street food tour to discover the vibrant atmosphere of Catania or afternoon visit of Taormina, including the splendid Greek-Roman theater and a world-class "granita". Tasting home-style dinner at the agriturismo. • Day 2: transfer across scenic landscapes towards the craters of Etna Volcano. The hike will be decided according to the weather conditions and the physical fitness of the participants: from a relaxing stroll around the base craters, to a full-scale ascent by funicular, off-road vehicle and hike all the way to the top of the active volcano at 3300 meters. Dinner in a family-run winery to sample the typical varieties growing on the volcanic slopes. • Day 3: after breakfast, we head to the splendid Siracusa, famous for its rich historic heritage spanning over 2000 years, from the Greek colonies to splendid baroque churches. We will start the discovery at the archeological park, followed by a tasting lunch at the colourful market. A relaxing stroll in the center of Ortigia and an aperitif-dinner on the seaside will grant an unforgettable day. • Day 4: a day dedicated to the exploration of the "Sicilian baroque" artistic gems. 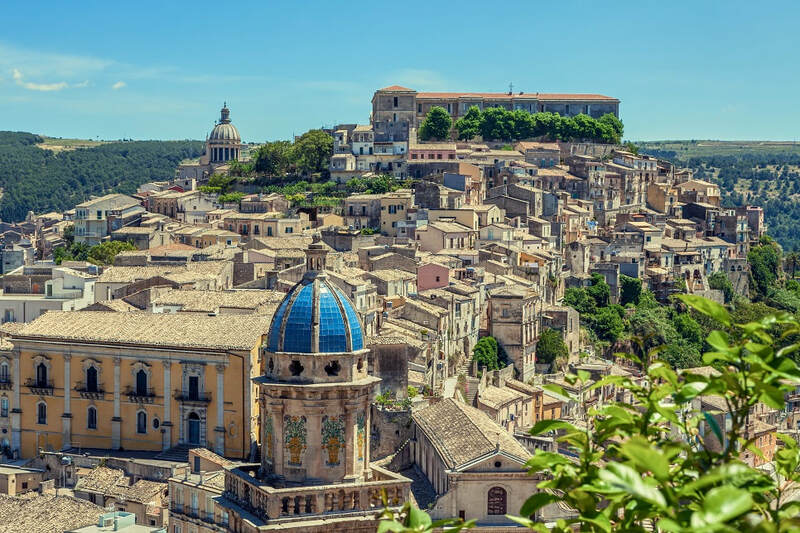 We start from a stroll in the hilltop Ragusa Ibla and a visit to a medieval flour mill in a picturesque canyon, where we will sample a selection of craft creations and a choice of cheese and cold cuts, followed by a chocolate workshop in Modica. Sunset seaside relax in the splendid fishing hamlet of Marzamemi where we will sample traditional tuna and swordfish delicacies before returning to Siracusa. • Day 5: transfer to Catania airport. Depending on the flight's timing, street food tour of the lively market of Catania. We are available to organise optional excursions (as well by bicycle) upon request. ​items not detailed in "the cost sharing includes"